Raising a well-rounded bear is a balancing act! At school he's learning Chinese, digital music, and coding. After school he's got gymnastics, piano, basketball, and skating starts up in a couple of weeks. Not sure when, but we'll also get back into swim class, I'm pretty sure, and the bear is talking about his desire to take parkour class. Despite all of this, it's important to bring the bear to a variety of cultural and social events. 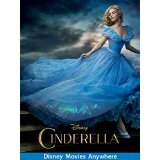 Movie Night- We went to his school on a Friday night to see the live action movie Cinderella with a couple of his pals. It's a good live action movie, with well-drawn characters, no caricatures, and it moves along. And they had dollar popcorn! At the end I realized why I liked it so much-- it was directed by Kenneth Branagh. That guy knows how to tell a classical story. BUY IT ON AMAZON. Midnight Circus - we had a belated birthday party with my pals over at the Midnight Circus. We brought 40+ people to the show, which featured cupcakes and juice with the cast at intermission. 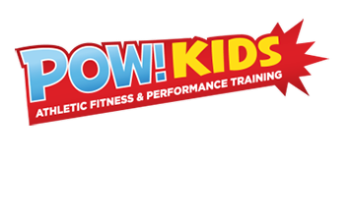 The show is a family show (the main people in it are a family of 4) along with a bunch of other amazing performers. I've seen a lot of circus, and just about all of this was amazing. They have a few more shows coming up this fall in the parks, and they are definitely worth seeing. Here's a video of one small part of the show, in which 10 year old Max Jenkins does a Rolla Bolla act while his dad Jeff looks on. I didn't take the video. Northwestern Football. We took in a classic battle between Wildcats and the Minnesota Gophers. Suffice to say the Wildcats won 27-0. We took the train there, And the bear sat next to the tubas, and loved it! The Edgewater Arts Fest. We walked around our neighborhood and saw a great variety of artists, a very wacky puppet show put on by Bob Anderson, masks made by Jeff Semmerling, (the bear really wanted the duck mask, but I had to demur) It won't happen again until next year, but in the meantime, put it in on your radar! 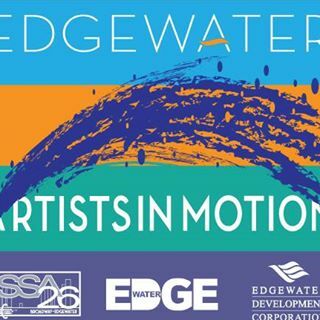 Edgewater Arts In Motion.